SAN FRANCISCO—Chief Justice Tani G. Cantil-Sakauye announced today her appointments to the Judicial Council internal committees that assist the council in its oversight in such areas as court rules, policies, procedures, technology, and litigation. The committees themselves are established by court rules. The year-long appointments take effect September 15, 2013. The Executive & Planning Committee will continue to be chaired by Justice Douglas P. Miller. San Diego Judge David Rubin will serve as vice chair. Among other duties, the committee oversees the council’s meeting process and operating procedures, including agenda-setting for council meetings. The Litigation Management Committee, which oversees claims against trial and appellate courts, the Judicial Council, and the AOC, will be chaired by Contra Costa Judge Mary Ann O’Malley with Yolo Judge David Rosenberg as vice chair. San Diego Judge Kenneth K. So will chair the Policy Coordination and Liaison Committee, and Los Angeles Judge James R. Brandlin will serve as vice chair. The committee represents the council’s position with other branches of government and entities. It also reviews and makes recommendations on legislation and policy. 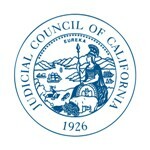 The Rules and Projects Committee, which oversees the development and approval of the California Rules of Court, the California Standards of Judicial Administration, and Judicial Council forms, will continue to be chaired by Justice Harry E. Hull, Jr.; Justice Judith Ashmann-Gerst will serve as vice chair. The Technology Committee will continue to be chaired by Santa Barbara Judge James E. Herman. Sacramento Judge David De Alba will serve as vice chair. The committee oversees the council’s policies concerning technology. Mr. Mark P. Robinson, Jr.
Hon. Harry E. Hull, Jr.